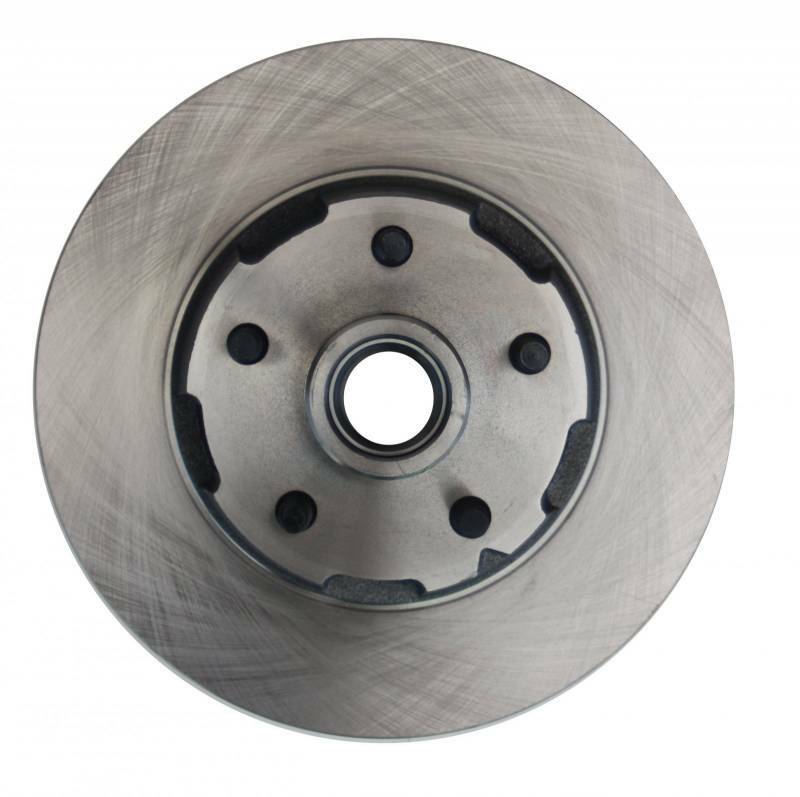 Add the safety, reliability and performance of disc brakes to your vehicle with our drum to disc conversion. In this kit you recieve everything you need to mount factory style 4 piston disc brakes to the original drum brake spindles currently on your vehicle. 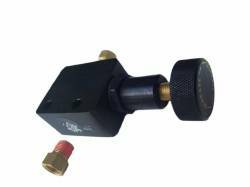 This kit is a direct bolt on with NO cutting, drilling or welding required. All components used in these kits are new high quality, precision machined products. A great kit with a factory look and easy installation! Note: Fits 64-69 V8 drum brake spindles. Also fits 67-69 6cyl spindles but converts the vehicle to 5 lug. 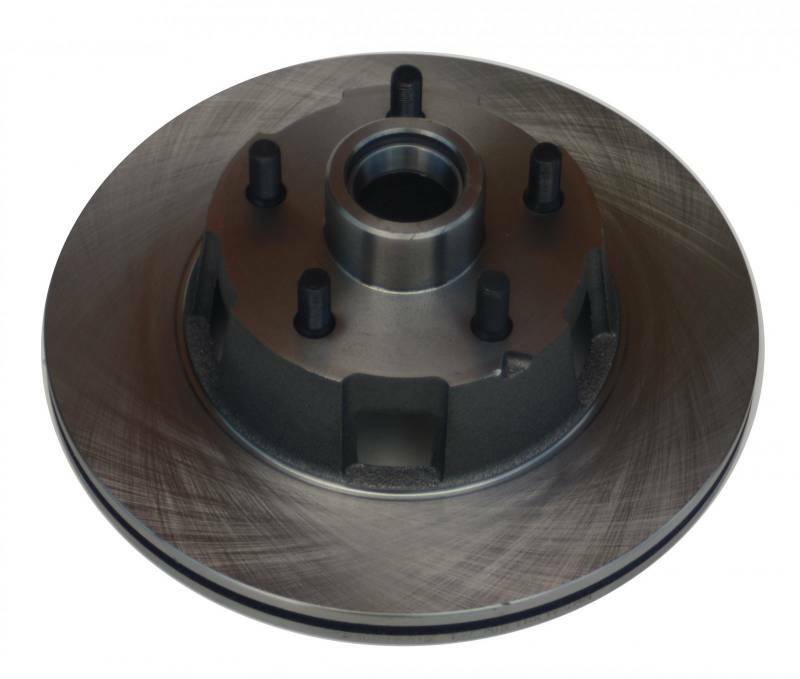 Add the safty, reliability and performance of disc brakes to your vehicle with our drum to manual disc brake conversion. In this disc brake conversion kit, you receive everything you need to mount factory style 4 piston disc brakes to the original drum brake spindles currently on your vehicle. This disc brake conversion kit is a direct bolt on with NO cutting, drilling or welding required. 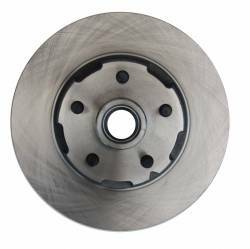 All components used in this drum to disc conversion are new high quality, precision machined products. A great kit with a factory look and easy installation! 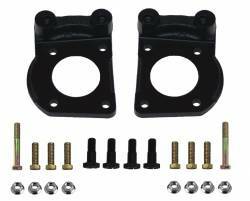 Note: Fits 64-69 V8 drum brake spindles. 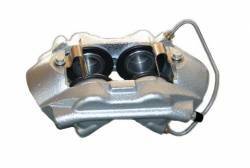 Also fits 67-69 6cyl spindles but converts the vehicle to 5 lug. 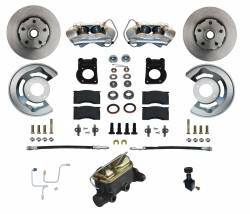 Take a tour of our Mustang Disc Brake Kit with the video below. 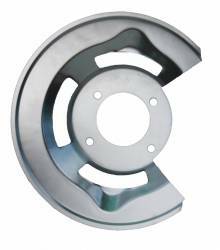 This is a nice competitively priced front disc brake kit. I did bend my front and rear brake lines to use the stock '66 distribution block and mount the proportioning valve body just below it. 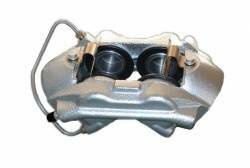 The supplied pre-bent 3/16 brake lines would fit. 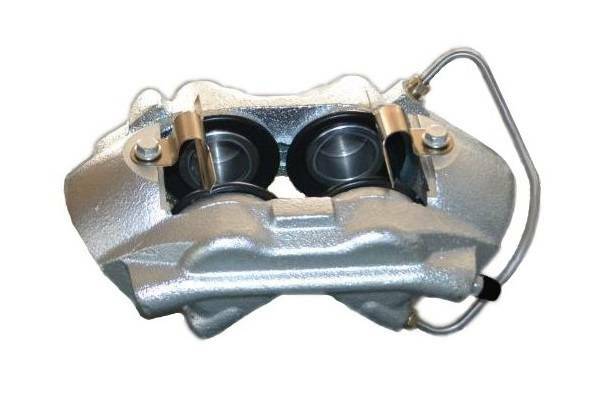 I did need a 3/16 plug for the original rear brake outlet of the distribution block and a 3/16 female to 1/4 male into the distribution block where the original single input from the master cylinder entered in the front of the distribution block. The challange was getting the right torque to loosen the existing 51 year old brake fittings. 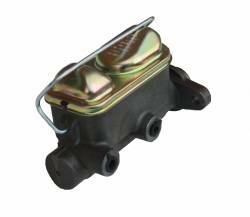 Once the master cylinder was plumbed the hard work was essentially over. 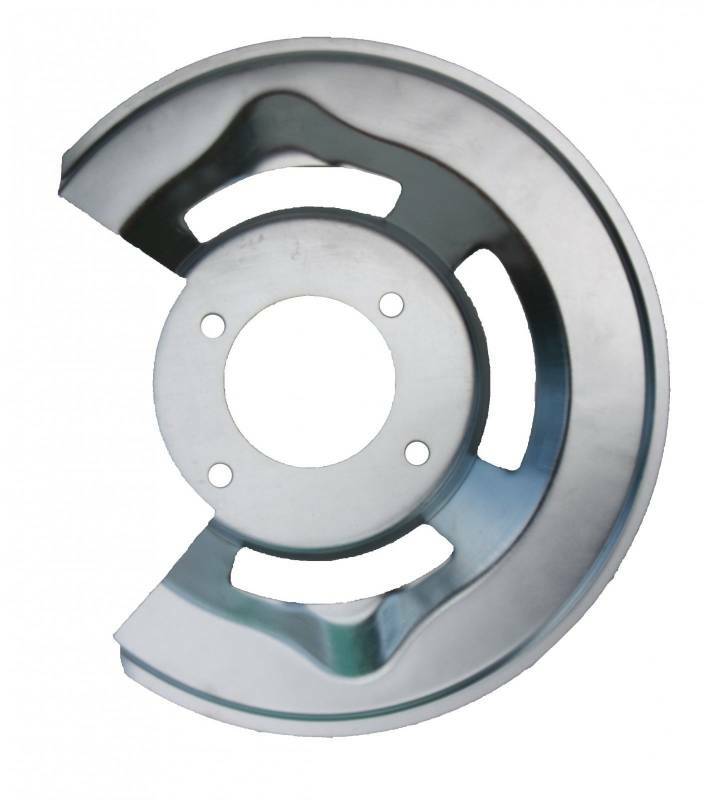 The front drums can be removed without taking them apart by undoing the brake line in the wheel well and undoing the four bolts securing the drum to the front axle hub. Don't forget to remove the bearing race nut and cotter pin. We did each step to both front hubs with the car on four jack stands. Each step was done twice and went quickly. After several trips to the local NAPA parts store we realized the supplied (attached to the flexible brake lines) unions could have been used on the 1/4 inch distribution block input to adapt the 3/16 inch line from the front output (rear port) of the master cylinder. All told this is a good kit at an attractive price. 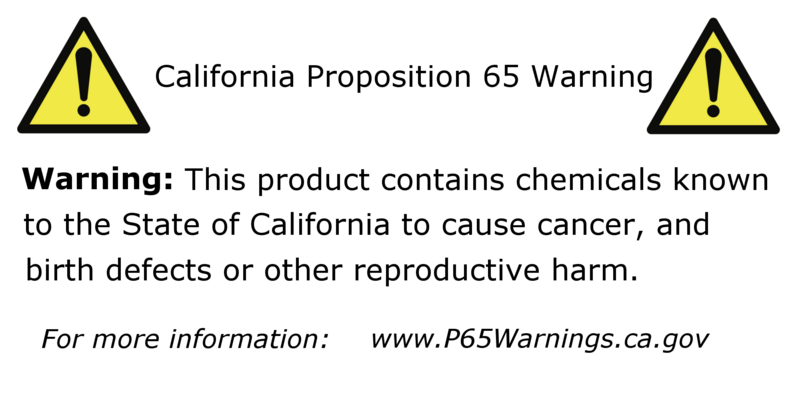 The instructions are OK, but some adult supervision was appreciated.